More I Was Broke Group Study Guides On The Way! 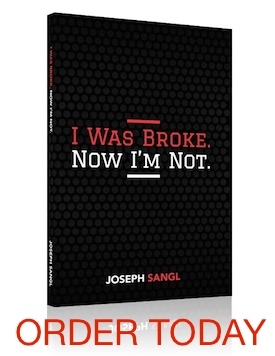 I can't believe I am writing this, but I am PUMPED and FIRED UP to say that I just ordered another 3,000 I Was Broke. Now I'm Not. Group Study Guides! What started out as a dream to teach 100,000 people in the first five years of this crazy ridiculous crusade is becoming a reality! We are nearing 1/2-way there!!! I could not do it without you – the only way this crusade works is by you carrying the word to others! I have had many people ask how they can support the crusade. Here is my answer: Buy these resources and give them away to others. Thanks so much for making this possible!